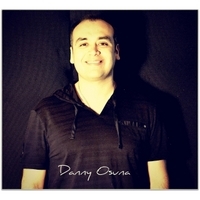 Danny was only twenty years old when he began working for Indart Music, one of the leading Latin music production houses in the United States, where he musically collaborated on commercials and song production for TV, film, and video games, as well as engineering and performing on recorded albums with LMS Records. He then focused and refined his exploration of music at the world renowned Musician’s Institute in Hollywood, California where he garnered a Bachelor of Arts in Music emphasizing composition at age twenty-one. He is now President and CEO of Beat Chamber Records and Beat Chamber (www.beatchamber.com) his production music house and Contemporary and Latin song catalog.